You have not really tasted Hyderabadi street food if you haven't had the iconic Munshi Naan at Purani Haveli. Run by the fifth generation of Mohammed Hussain Saheb, who once was a munshi (account clerk) of the Nizam — this shop goes by the name of Khadeem Munshi Naan. Having been around for more than a century, it is a rather old-fashioned shop with a small room. Amidst the traffic, we saw many people stop by to try the ever famous bread and we tried some ourselves too. We watched the vendors skilfully shape the dough (made using salt and cardamom powder), and then place it in a tandoor, after which they are sold either individually or in bulk. They have a loyal set of customers, but new folks keep walking in from all corners of the city. Apparently, the shop makes three large batches of this naan on a daily basis. It is tender and stays warm for hours together. It also has a distinct taste that reminded us of pizza bread, but better. You can get a piece for just INR 14, or place bulk orders to add this traditional bread at weddings and family functions. Although the naan can be eaten by itself, and packed to takeaway, we wish they served a curry to go with it at the store too. 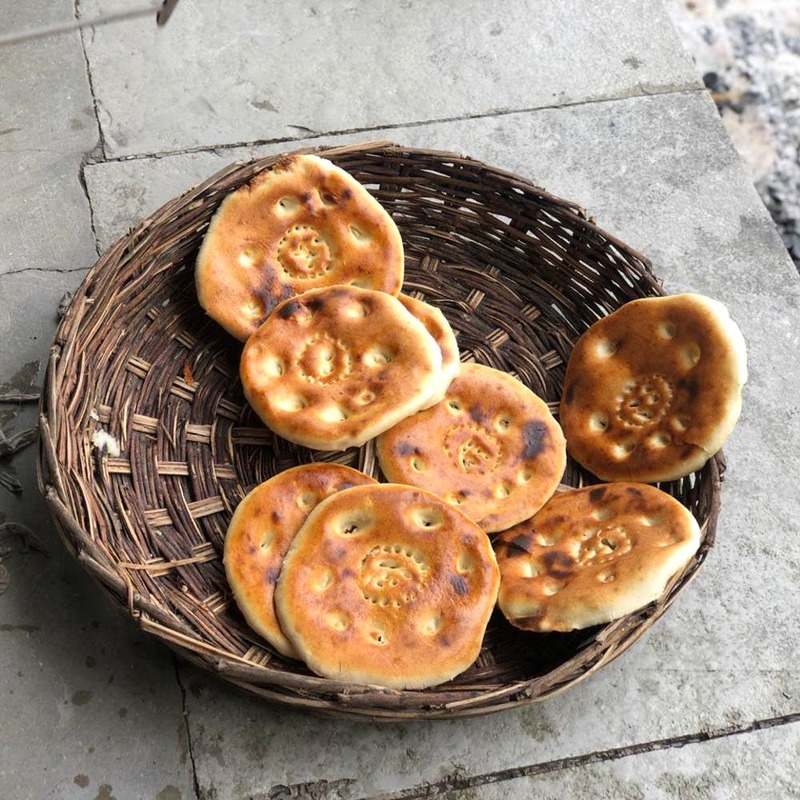 The naan is usually made in square shape, and called char koni naan.